Launched in 2004, Pigeon Express Pvt. Ltd. It is the first inter-city courier with 100% online operations. .It has been one of the fastest growing Inter-city courier services that offers "Desk to Desk" couriering of documents, packages, parcels in compliance to satisfaction. Last year, Pigeon Express acquired the majority stake in logistics firm GoJavas . GoJavas was founded in 2013 and had clients such as Jabong, Fabfurnish, Lenskart and Healthkart. Now, Pigeon Express has revolutionized the traditional ‘Aangadia’ business by launching Aangadia on Mobile app. The application willâ€‹ â€‹help the delivery boys to grow and empower themselves as Entrepreneurs by registering on the app. 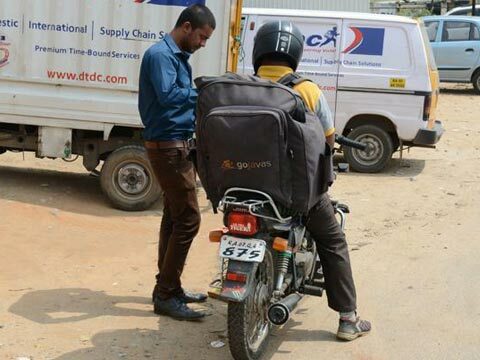 The app will enable even the small time delivery boys to become entrepreneurs. The app is user friendly & can book the consignment in three simple steps. Sender & receiver name, mobile no, email id, destination pin code, declaration by the customer about the product. The app has an auto rate calculator in which the customer needs to enter the destination pin code & weight. Payment can be done through RTGS, NEFT, cash & credit card. Once the booking is confirmed, 3 way sms will be triggered to sender, to receiver & to the booking Aangadia followed by an email. On delivery, sms will be triggered to sender & receiver. The whole process will be tracked online. This is a purely go GoJavas and Pigeon network initiative; and the company will not be using the human resource of any other company. As of now, the company has deployed about 70 delivery boys for this service. The company has started its operations from tier 1 cities but aims to be equally bullish on tier 3 cities. “We have just started and we are already getting about 200-250 orders on daily basis,” informed Anand. The companyis tied with Spice Jet which is covering 47 cities as of now and going to cover many more cities shortly. The company is also in-talks with many e-commerce companies to source the logistics part. “Beating the logistics hurdle is one of the biggest challenges for any e-commerce companyin India. The reach of e-commerce is still limited in terms of pin codes especially in tier 3 towns. With Aangadia we are committed to change the scenario. " he informed.